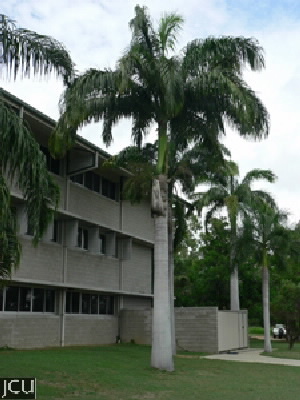 These solitary palms with pinnate leaves are some of the tallest of the royal palms but they lack the bulge typically associated with R. regia. Leaves appear flat. Fruit is ellipsoid, purplish-black at maturity, 1.7 x 1 cm.